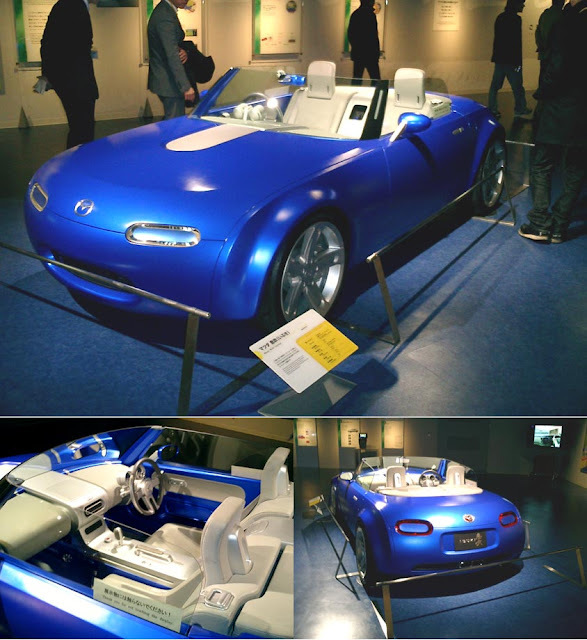 Ibuki (Japanese for "Breath") was the name given to a Mazda roadster concept car. 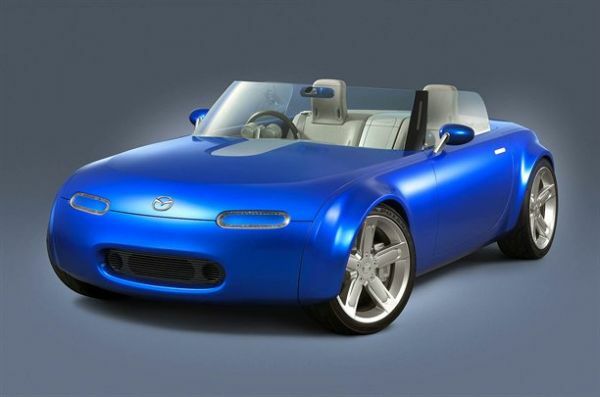 First shown at the 2003 Tokyo Motor Show, Ibuki was a showcase for Mazda's design and technology prowess. 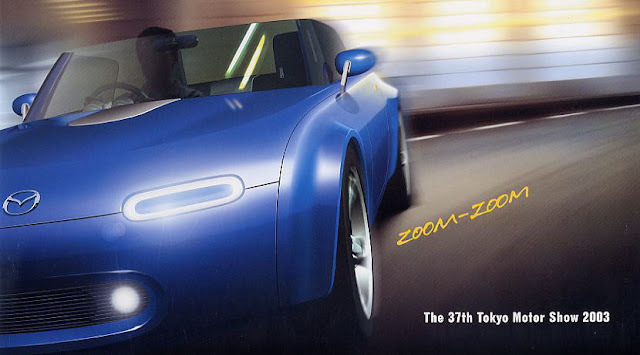 The concept also hinted at the direction of design for the 3rd generation Roadster and gave an idea how the NC model could look. The Ibuki design is characterised by a distinctly oval shape with very small front and rear overhangs. this simple shape enables the wheels to be located as far into each corner as possible. The concept borrows the RX-8's front-midship engine placement and features a wider track than previous generations. The design has elements of old, such as the oval front lights, but at the same time manages to look futuristic. 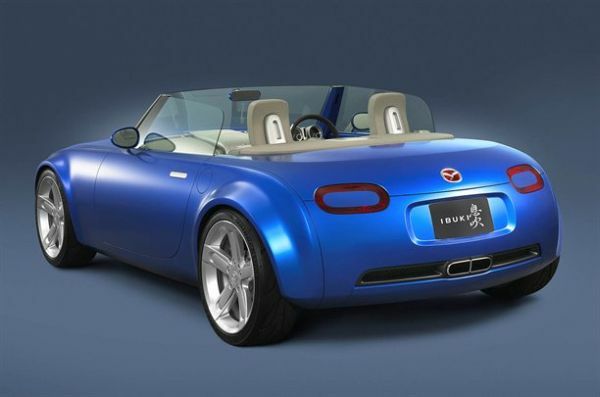 Ibuki features many ideas that didn't make it into the NC, but may eventually be seen in the upcoming ND model. Features such as a 180Bhp 1.6 litre hybrid engine with electric motor for a low speed torque boost, stop/start, and some form of kinetic energy regenerative braking system. There was also talk of a 4-point "active rollbar" that supposedly instantly lifts up from the car body when the car's systems detect an accident has occurred. Further details can be found in the Ibuki news release.